When and how do our thoughts and intentions turn into actions? How often do we unknowingly create unnecessary work for ourselves? How can we become more like we imagine ourselves to be? The significance of understanding these questions is key to accurately fulfilling our objectives in life. 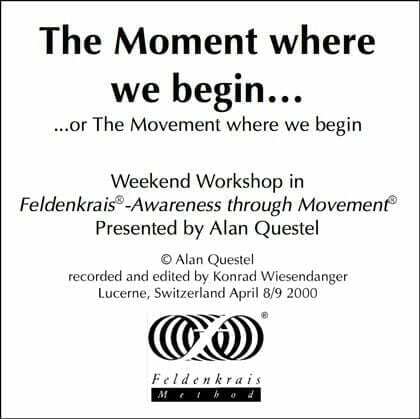 Utilizing Feldenkrais Awareness Through Movement® (ATM®) lessons, we will inquire into this moment between intention and action. By discovering how we initiate the things we do, we can improve our efficiency, reduce our discomfort, and create a life more to our liking. Great CD workshop. Alan’s teaching is clear and insightful.